The Secret Buddha Garden (also called Tanim Magic Garden) is an ornamental garden tucked away in the verdant hills of central Koh Samui. Visit this tranquil attraction to spot a remarkable collection of handcrafted statues. Admire the garden’s water features and the verdant jungle landscapes that envelop the area. The Secret Buddha Garden also offers splendid views of the island’s undulating hills and coconut plantations. The garden was the dream of a local fruit farmer named Nim Thongsuk and was constructed in 1976. After retiring from farming, Thongsuk decided to open his property to the public. He gathered a team of architects to craft a series of statues and sculptures portraying tales from Buddhist folklore. See dozens of figurines, which depict the Lord Buddha in his various poses. Note the many gods and goddesses, some sitting down, some standing and others dancing, waving and playing musical instruments. Look for animals, including a bird that appears to be pulling a worm out of a pond. There is even a sculpture of the garden’s creator. Sit on a rock or one of the stone seats and watch the calming waters of the stream flow past. Look up at the tall trees, which aid in maintaining a cool environment. A small waterfall adds to the peaceful ambiance. Follow trails to viewpoints, look out over lush mountains and gaze down on the island’s coastline. 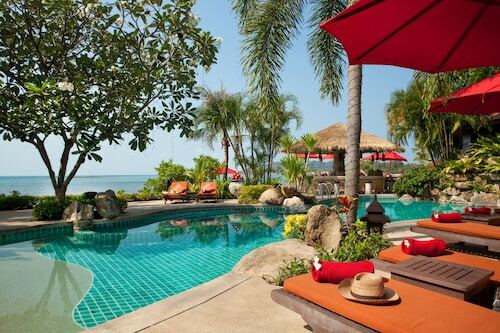 Find the garden in the Na Mueang district of central Koh Samui. Most of the tour operators located at the island’s beach towns run daytrips to the garden and nearby attractions, such as Namuang Waterfall. Alternatively, get here by rented car or scooter. Be aware that the final section of the route to the garden is a dirt road. The Secret Buddha Garden in open daily and charges an admission fee. This is not a temple, so there is no strict dress code. 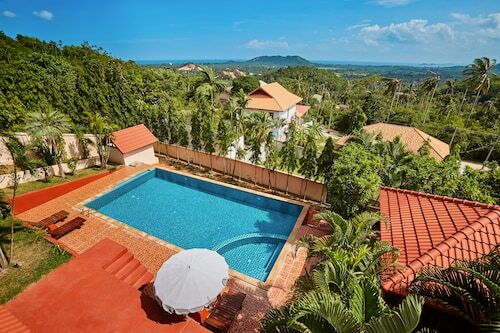 Situated in Koh Samui, this villa is within 1 mile (2 km) of Namuang Safari Park, Namuang Waterfall and Namuang Waterfall 2. Khunaram Temple and Mummified Monk are also within 2 miles (3 km). Nestled on the beach, this Koh Samui hotel is 0.4 mi (0.6 km) from Paradise Park Farm and 2.7 mi (4.3 km) from Taling Ngam Beach. Lipa Noi Beach and Raja Pier are also within 3 miles (5 km). 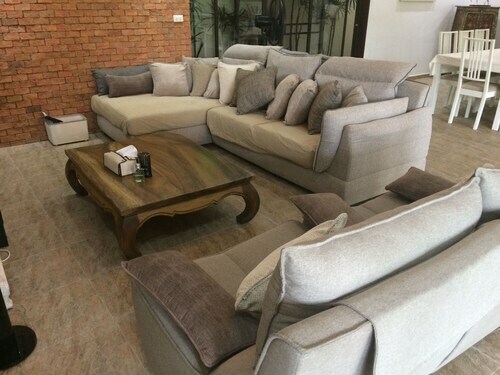 Situated near the beach, this holiday home is 0.3 mi (0.6 km) from Paradise Park Farm and 2.5 mi (4 km) from Taling Ngam Beach. Raja Pier and Lipanoi Pier are also within 3 miles (5 km). 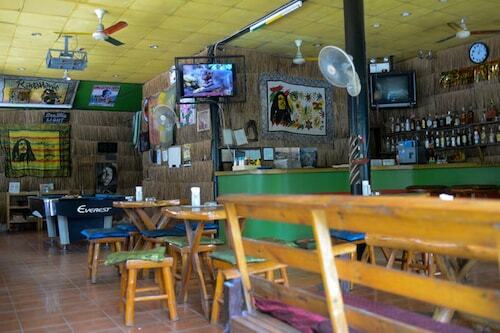 Situated in Koh Samui, this hostel is 1.1 mi (1.8 km) from Wat Lamai and within 3 miles (5 km) of Lamai Beach and Silver Beach. Coco Splash Waterpark and Lamai Night Market are also within 2 miles (3 km). 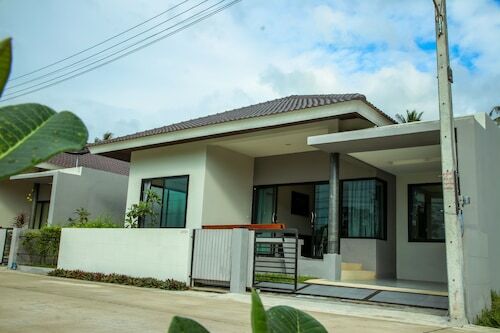 Situated near the beach, this villa is 0.9 mi (1.4 km) from Hua Thanon Beach and 1.8 mi (2.9 km) from Lamai Beach. Guan-Yu Koh Samui Shrine and Wat Sila Ngu are also within 1 mile (2 km). 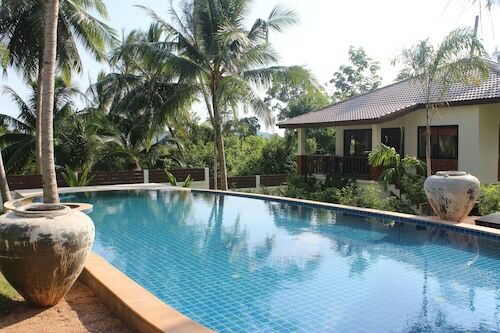 Situated in a rural location, this villa is within 3 miles (5 km) of Laem Set Beach, Thong Krut and Namuang Safari Park. Mummified Monk and Khunaram Temple are also within 3 miles (5 km).